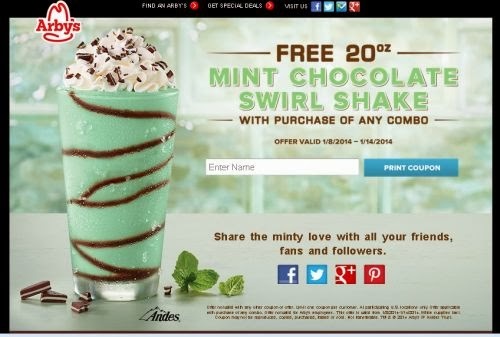 Get a free Arby's Mint Chocolate Swirl Shake free. Click the link below to go enter your email to print your coupon. Take your coupon in to our nearest Arby's to redeem it. Offer good with purchase of any combo. This offer is valid from Jan 8th- Jan 14th, 2014.